This week’s episode of Utopia (watch it here on ABC iView) got me thinking about how much bad content is out there, and the impact it has on business. It’s hard to communicate complex ideas and the rise of content marketing hasn’t helped. The crux of the episode was about a Defence White Paper that was so full of corporate-speak that no one knew exactly what it was saying. The recommendations weren’t clear and it was written in such a manner to seemingly disguise the truth… and it seems that, that is what was intended after all. Overly complex articles that are long winded, full of technical jargon, that makes people’s eyes glaze over. I would like to suggest that it doesn’t have to be this way and that it is possible to prepare powerful content that is neither fluffy or eye glazing. Now, not all SEO companies are bad, but have you noticed how hard it is to learn something new or trust the content that is served up by Google? When researching a topic, I often have to filter through the really superficial content that’s probably written by someone with no real in-depth expertise in the the subject matter. Just try researching how to launch a successful Youtube channel – you’ll probably find a generic guide which tells you to be “positive”, “unique”, and “original”. SEOs may be thinking they’re winning the game by ranking that article high on Google – but this is a huge disservice to the client. When people actually read the article, it shows that they don’t have any real insight into the topic being researched and is damaging to the brand. Remember, the content you create all builds up and reflects your brand. Content marketers need to take their own advice to be “unique” and “original”. They need to stop providing obvious answers because that’s not the information that their prospects and clients are looking for. For too long content marketers have been too focused on making their content rank – rather than producing great educational content that adds value. A framework we can all use to make better content is to ask ourselves ‘so what?’. Ask yourself that after you make a point – just imagine there is an annoying little person on your shoulder constantly asking you that. By answering that question you’ll be creating content somebody would actually care to read. "We enable people to create designs online"
"This means that anyone with a computer and internet access, and without buying software or going through weeks of training, can create beautiful designs inexpensively and quickly"
"We are empowering anyone to create industry standard designs without having to write RFPs, use Photoshop, and pay huge amounts of money". Notice how every time he answers the 'so what', he’s able to make the solution sound a lot more enticing to the customer. The framework forces us to elaborate on the benefits our content, making it even more useful. A good habit is to ask yourself ‘so what’ twice after making a key point in your content. That's not all though. After you answer the 'so what(s)', finish off with a 'for instance...' This is where stories come in – testimonials, proof your product works. For instance, here is a beautiful Instagram graphic done by Peter the Plumber, who has no previous design training. With the so what, and for instance framework, we're better able to make content that audiences will appreciate. For instance, in this article we went through the process of creating an article to challenge content marketers to create a higher standard of content creation. So what? So they don’t create obvious content that bores their readers and damages their brand. We’ve even created a blog post writing framework to help with this. Download it here. What about the more complex ideas? 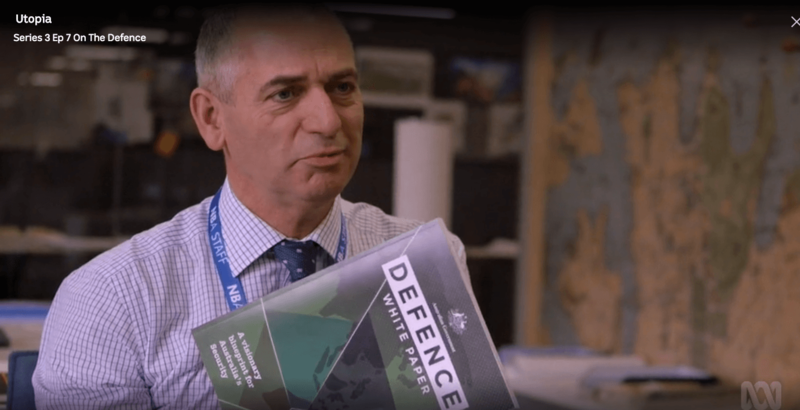 For the more complicated business communication topics, like the Defence White Paper in Utopia, a friend of mine, Davina Stanley has recently published an excellent book called The So What Strategy. The So What Strategy helps people organise their ideas so they get to the point quickly. By using storylines, communicators can get to the “so what” fast, and make a case to be able to back it up. With practical examples of the 7 key storylines often used in complex communication, this book is a must read for professional communicators. If you’d like a sneak preview, you can download the first chapter here. Or head over to her site to buy a copy. I’m not an affiliate in any way, just sharing some great work that will help other communicators. So, fluffy or complex.. there’s no reason for your communication to make people’s eyes glaze over… you can do better.